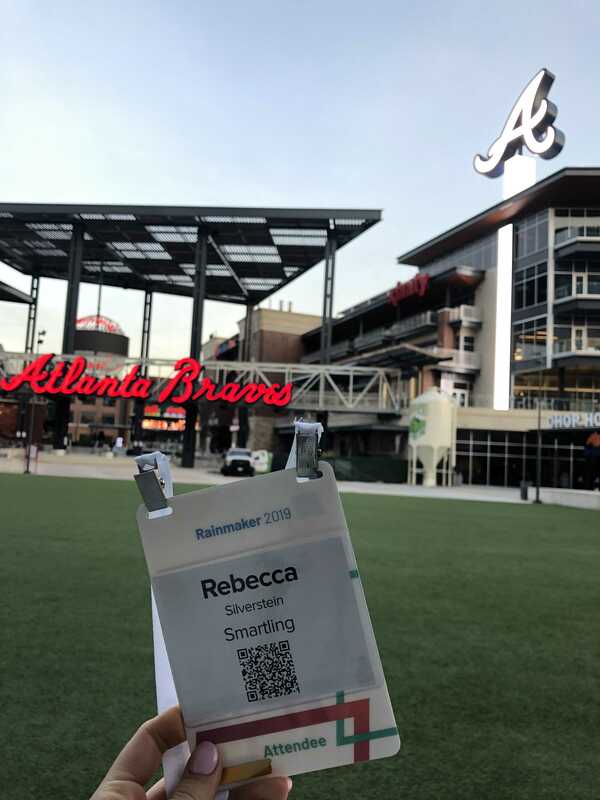 Earlier this month, I headed out to Atlanta for SalesLoft’s annual Rainmaker conference. After just barely navigating my way through the world’s busiest airport, I was ready for three productive days of learning, sharing, and networking with fellow sales leaders from around the country. As Smartling’s Manager of Sales Operations, I was involved in evaluating, selecting, and implementing SalesLoft last year. We purchased SalesLoft to enable our SDRs to efficiently and effectively engage with prospective Smartling customers in a personalized and scalable manner. I participated in a full-day admin workshop, which culminated in a certification exam. The topics ranged from in-depth explanations of how to administer the tool, to new reporting functionalities on the roadmap, and best practices in creating automation rules. Prior to the sessions, I had assumed that my ad hoc adjustments in the SalesLoft platform (typically at the request of users) was plenty involvement on my part. What I failed to recognize is how effectively my peers are constantly iterating upon their established processes in search of better outcomes, and some of the creative approaches they’re taking to both enabling and measuring team success. I left this session both inspired by my peers and with a shiny new certification to boot. I’m fairly adept at navigating my way around gadgets, gizmos, new iOS releases, and the like. One device I am consistently unable to wrangle is the printer. What is toner, anyway? For this reason, I never thought I’d ever be truly impressed and supportive of a printer. Members of a charity I had not yet heard of, New Story, joined the stage in front of an audiences of two thousand. The Atlanta-born “dedicated team of millennials” (their words!) created the first 3D printed home to help shelter the developing world. On stage, they unveiled their plans to break ground this summer on the first 3D printed community. I’m truly inspired by how advancements in technology— in this case, 3D Printing— can be leveraged for good and have a tangible, positive impact on the world. I don’t like routine— I welcome the challenges brought on by change, and try to frame it as an opportunity. 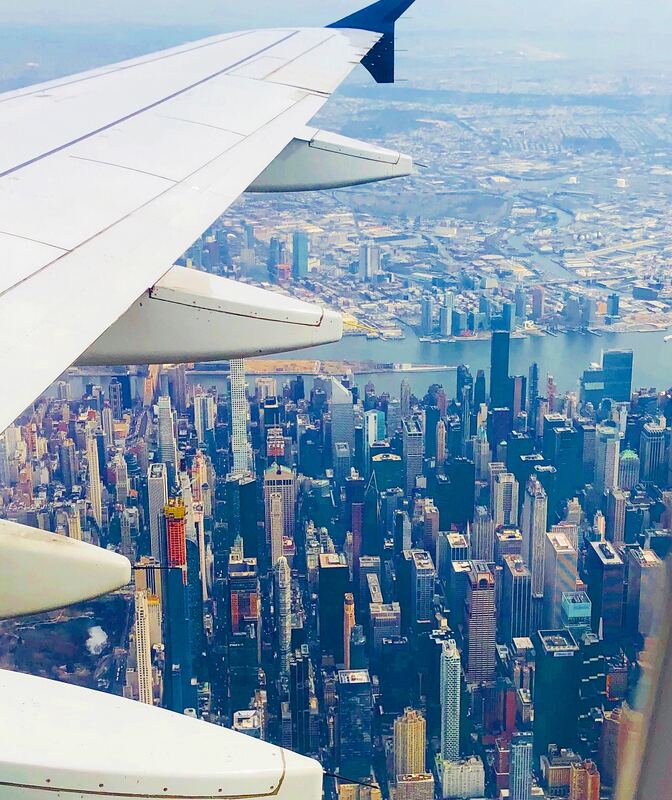 Embracing change is part of the reason I love New York City, SaaS, and the world of sales operations, where no two days are quite the same. I attended a leadership and strategy track session about leading through change that reminded me of a crucial fact; organizational change impacts individuals, and those individuals may not welcome change— in fact, they often fear it— especially when it impacts their day-to-day job or perceived ability to be successful. Towards the beginning of the session, Allison Andrade talked about the importance of normalizing change— making sure those “downstream” from the strategic decision makers know that change is not only okay, but it’s normal. Better still, once team members have weathered the cycle of change and come out all the better for it on the other side, change will start to be seen as an opportunity for growth and a new challenge, rather than a threat. I’ve learned firsthand that being willing to adapt, evolve, and leverage change for growth is key to success and advancement both personally and professionally. Even with tools like Zoom to enable you to make eye contact from thousands of miles away— there is still no real replacement for meeting face-to-face (that is, until holograms are a real option). While in Atlanta, I had the opportunity to meet with our customer success team and together use fifteen productive minutes to brainstorm solutions to challenges that would typically span several email threads across multiple days. I left the meeting with answers to my questions and new ideas to run by the team, and they gained candid user feedback from one of their customers. On the final day, I had the privilege to sit down for an impromptu meeting with SalesLoft’s VP of Global Sales Operations, Jason Moore, where he so kindly allowed me to pick his brain on all things “sales ops”. It is helpful to learn about successes, challenges, and initiatives that are top-of-mind for leaders in my space. I felt right at home when fellow New Yorker and legendary restaurateur Danny Meyer took the stage for the keynote session. If you’ve ever eaten at Shake Shack (or Marta, Manhatta, Blue Smoke, or Maialino, to name just a few), then you know his great work. As a pseudo-vegetarian, and someone who has never personally eaten at Shake Shack (despite my coworkers’ weekly field trips, and consistent praise), I was surprised to enjoy the story he shared about the burger joint’s inception as much as I did. In 2001, Meyer had a hypothesis about the transferability of hospitality from fine dining to fast food. That thought, coupled with a desire to support and increase foot traffic in the park that neighbored his two restaurants at the time— Union Square Cafe and Gramercy Tavern— led him to set up a hot dog cart in Madison Square Park. It was summertime in NYC, so his restaurant patrons were not wearing coats. Stay with me here. No coats meant no need for coat check, which meant that his coat check employees were seasonally out of work. He hired those individuals to serve his guests at the hot dog cart. Would the "Hospitality Quotient" (HQ) principles instilled in his employees at his top NYC restaurants transfer to success in slinging hotdogs? I think you can probably guess that the experiment was a success. But wait, there’s more! Did you know that the Shake Shack kiosk in Madison Square Park we see today is a sculpture and was philanthropically gifted to the park? The kiosk belongs to the park, which makes the Madison Square Park Conservancy—where a portion of Shake Shack’s proceeds are donated— the landlord. Humble beginnings aside, fast forward to 2015 when Shake Shack went public, and to 2019, where they boast 240 locations across 14 countries. By treating his employees, “guests”, and community with respect and care, Danny has grown a sustainable empire. Could not resist (asking my window seat-mate to take) a photo when the pilot said we had unusually clear views of Manhattan over the Hudson River upon approach to LGA.